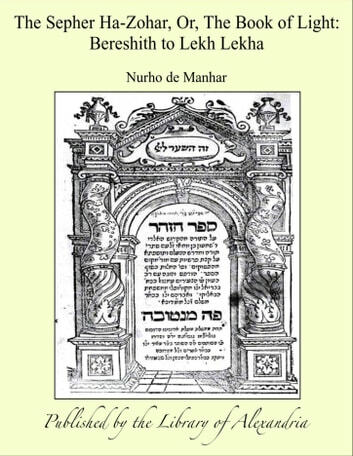 AS a preliminary to the translation of the great Kabbalistic work, "The Sepher Zohar, or Book of Light," we purpose to sketch in brief outline the history of its origin, the nature and purpose of its doctrines and teachings, as also the great influence of its philosophy which is reflected in the writings of Albert the Great, Reuchlin, Raymond Lully, Boehmen, More the Platonist, Spinoza, Balzac, and many others whose names are famous in the annals of literature and learning. To the readers of the late Madame Blavatsky's works, "Isis Unveiled" and "The Secret Doctrine," this will doubtless prove acceptable and enable them to understand and comprehend those parts in which she has incorporated the philosophy respecting the Sephiroth and shown its close similarity in many of its aspects with Eastern teachings. There is scarcely a page in which some reference to it is not found, with Hebrew words, the explanation of which would have enhanced the value of the above works and added to the enjoyment and edification of theosophical students in general. 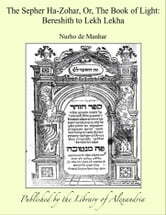 To supply this desideratum it will be necessary to give details respecting Kabbalah of which the Zohar is justly considered to be the prolific fountain from which has flowed that stream of occult philosophy that has entered so largely as an element in the teachings of mystics of ancient and modern times.